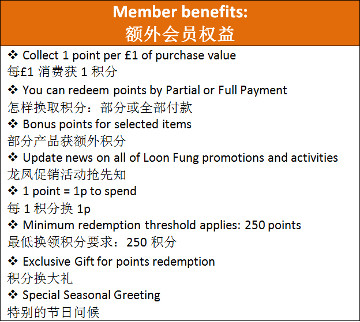 Loon Fung has recently launched a Reward Card scheme that will benefit all members. 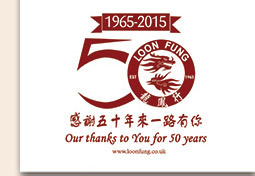 Customers can pick up a leaflet in any Loon Fung branch and register in store or online. 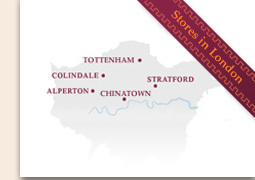 Earn points while you shop for everyday essentials at any one of our branches and enjoy the benefits today. 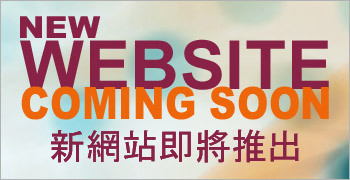 Click here to login to your membership account. 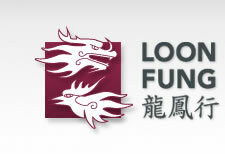 Pick up your card today at any Loon Fung Store, start collecting points and we will offer you much more........!